Is your Pet Silently Suffering in Pain? Is your pet limping, having trouble running, climbing stairs or getting up? Does your pet seem unhappy, growl or cower when touched? There is an ever-widening array of pain management solutions available today. Advances in pain management are changing at breakneck speeds. 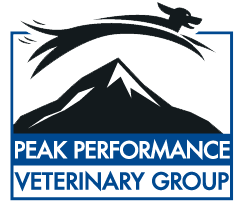 Peak Performance Veterinary Group is at the forefront of these changes. If you suspect that your pet is at risk for pain–from a surgical procedure, arthritis, hip dysplasia, cancer, internal disease, trauma or any other sort of injury, we are here to help. We will develop a modern, comprehensive pain management protocol tailored specifically to your pet’s needs. Your pet no longer needs to suffer from pain! If you have any questions or to schedule an appointment, please don’t hesitate to call us today at (970) 233-0795! "Thank you" does not convey the magnitude of what you did for our precious Dudley. You made his final year his best. Your heartfelt words to us on his loss were the most comforting expression of your care about our little guy, and we cannot thank you enough for the love and care you gave Dudley.